Centrally located in downtown Asheville, this park pays homage to a great civil rights leader, Dr. Martin Luther King, Jr. with a life-size memorial statue set in a landscaped courtyard. The park includes a lighted ballfield with concession, restrooms, a playground, picnic tables and grills, and a picnic shelter. 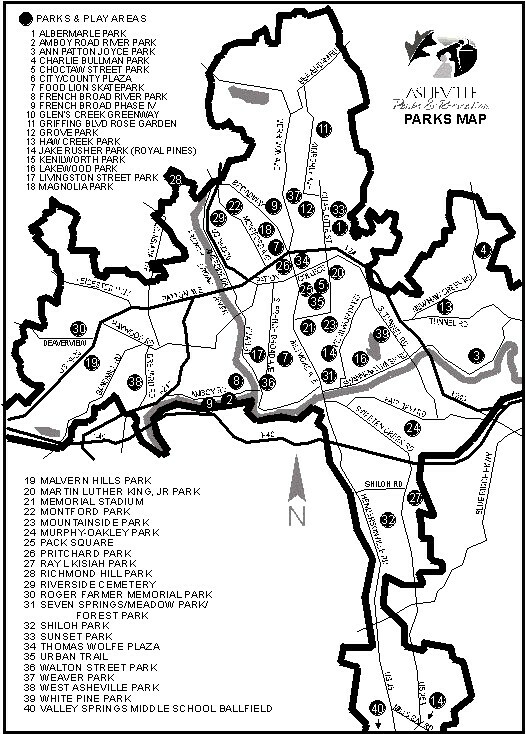 The park is located off Martin Luther King, Jr. Dr. in central Asheville. To reserve the ballfield contact the Athletics Division, 828-251-4024 or 828-251-4026.